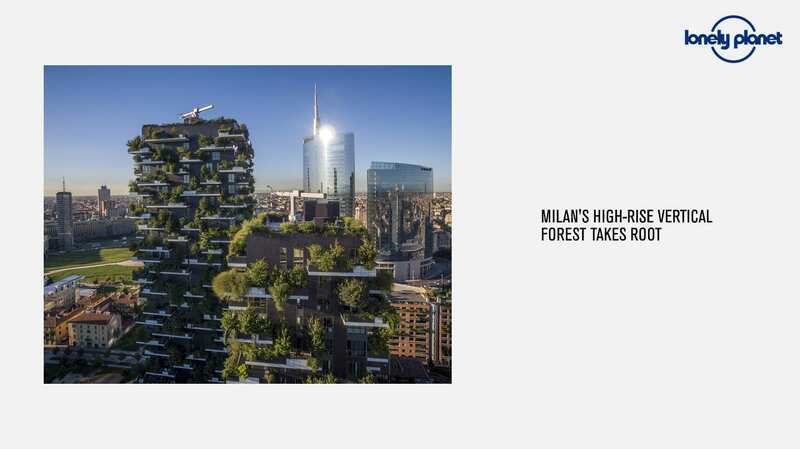 Lonely Planet adds the Milanese Vertical Forest among the travel news that you don’t have to miss out. A recommended stop which marks an important change in the contemporary culture, where the environmental sustainability also contaminates travels’ itineraries. In fact the Australian publishing company defines the two Milanese towers as two buildings that camouflage themselves in their own vegetation. A will to sustainable urban living: “Beyond just positive environmental impact, the towers are as much about creating a human existence in tune with nature. As Stefano Boeri says ‘Urban forestry is not simply planting trees, it’s a new approach to the urban condition’”.